Color transparency from photos for the Look magazine assignment "Here's your first view of Disneyland." July 1954. Los Angeles. 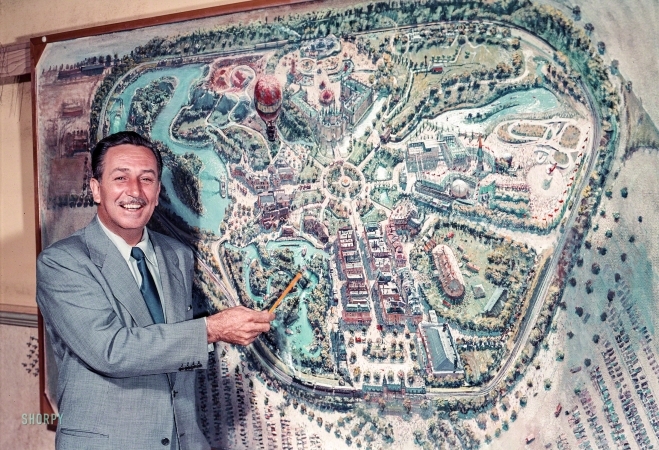 "Walt Disney pointing to a plan for Disneyland, under construction in Anaheim."